Storage: Ikea (Godmorgon), Flying Tiger and Hema. 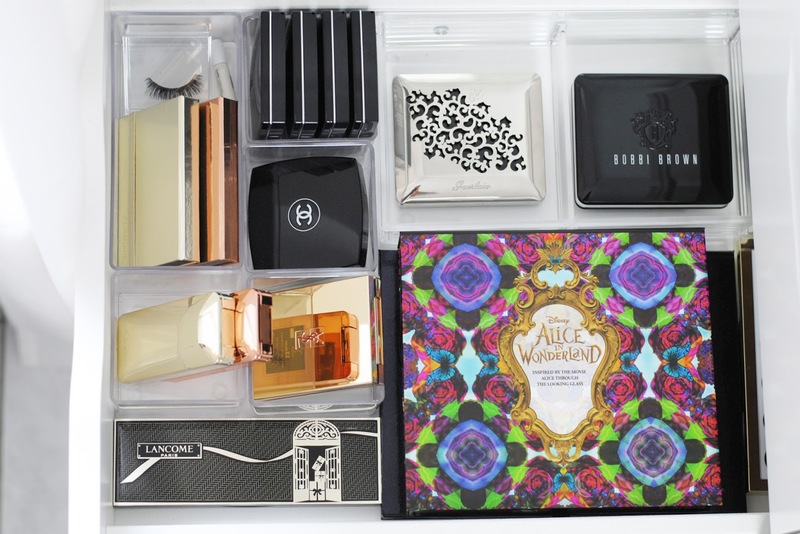 Drawer 2 holds some pretty palettes like the Alice In Wonderland palette and smaller palettes from Dior, Chanel, YSL, Bobbi Brown, Guerlain, Lancôme and Clarins. Storage: Nomess Copenhagen and Hema. 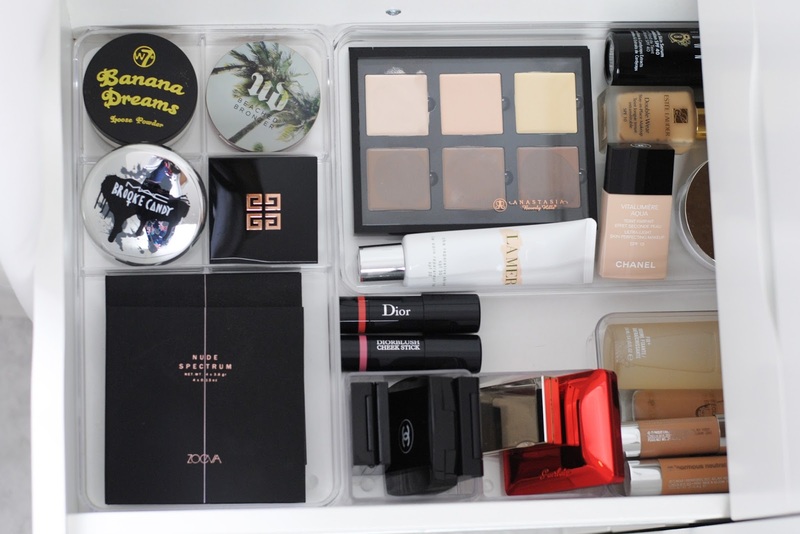 Drawer 3 has some of my blushes (Zoeva, Chanel, Givenchy, Guerlain, Clarins), bronzers (MAC, Givenchy, Urban Decay), my foundation and bb creams, MAC fix+ and the W7 Banana Powder -which you can get at my shop Beauty & Bobs-. Storage: Ikea (Godmorgon), Ferrero Rocher (empty box) and Hema. 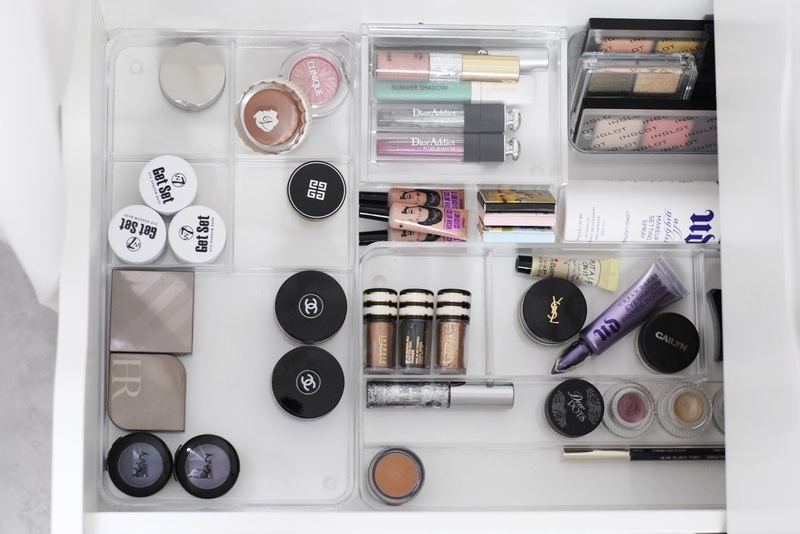 Drawer 4 is all about the eyes, this one doesn't hold the bigger palettes, just some smaller ones, monos, cream shadows, liquid shadows, primers and pigments. Storage: Ikea (Godmorgon), Nomess Copenhagen and Ferrero Rocher. 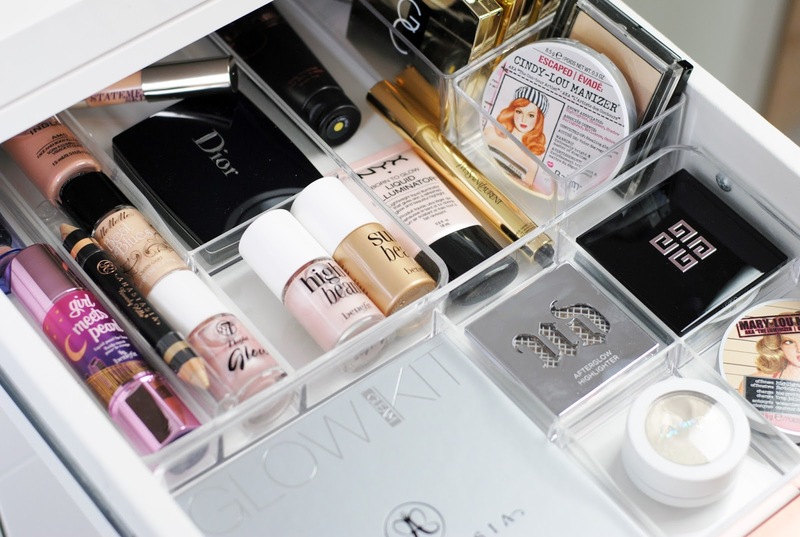 Drawer 5 is an unfinished drawer, I stash some of my nail polishes in here and some bronzers, brushes and eyebrow products. Storage: Ikea (Godmorgon), Ferrero Rocher and Hema. 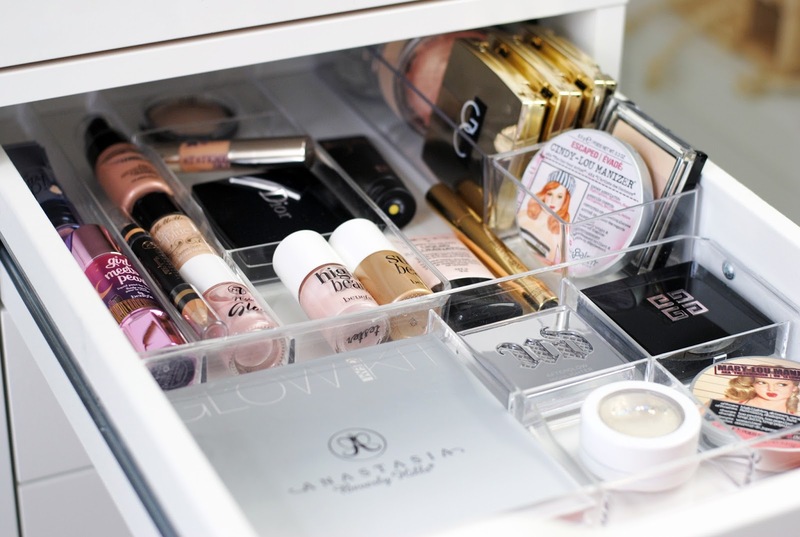 This drawer was a lip gloss drawer, until today! 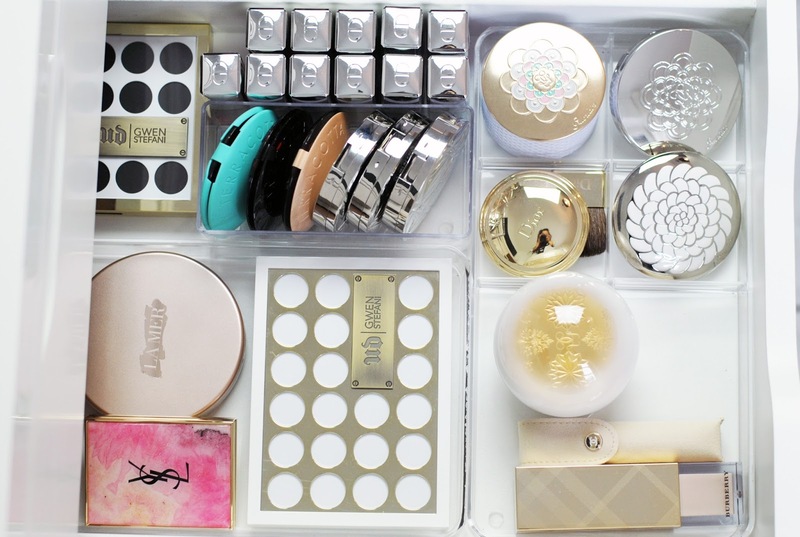 Now I stash my highlighters in here. 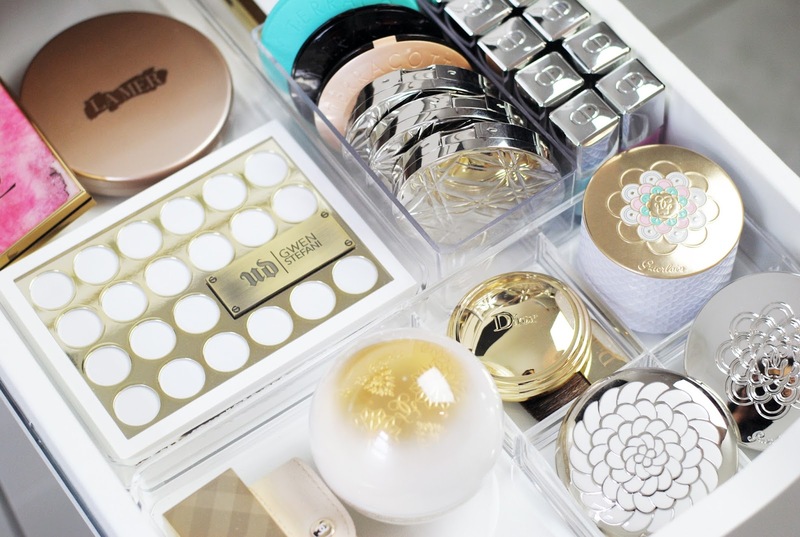 It's one of my favorite beauty products, so I thought it deserved it's own spot! Storage: Ikea (Godmorgon) and Hema. 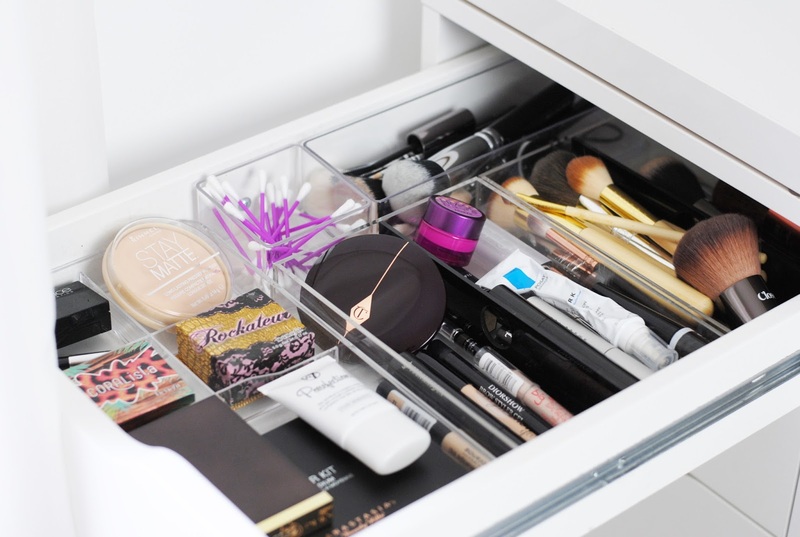 Drawer 7 is one of my favorite drawers, this one has some pretty products like my Guerlain Météorites, I looooove Guerlain Météorites. Like, love love. And we've reached the lipsticks! 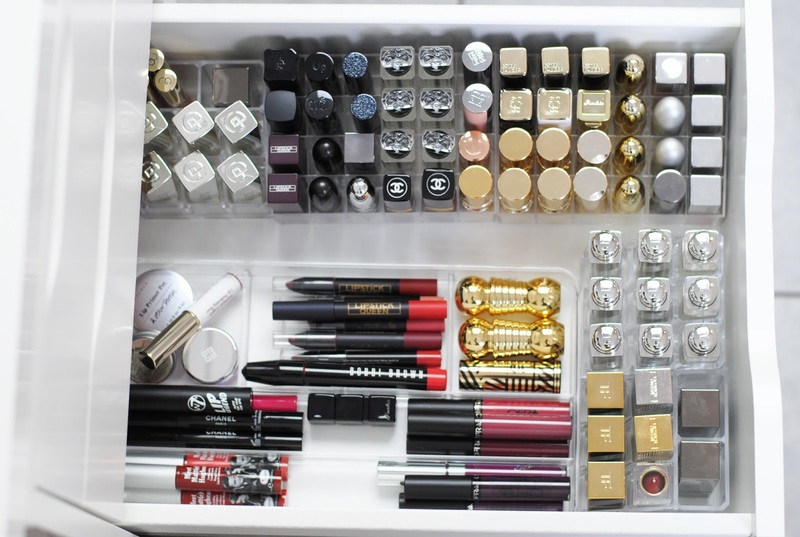 This drawer holds mostly lipsticks. 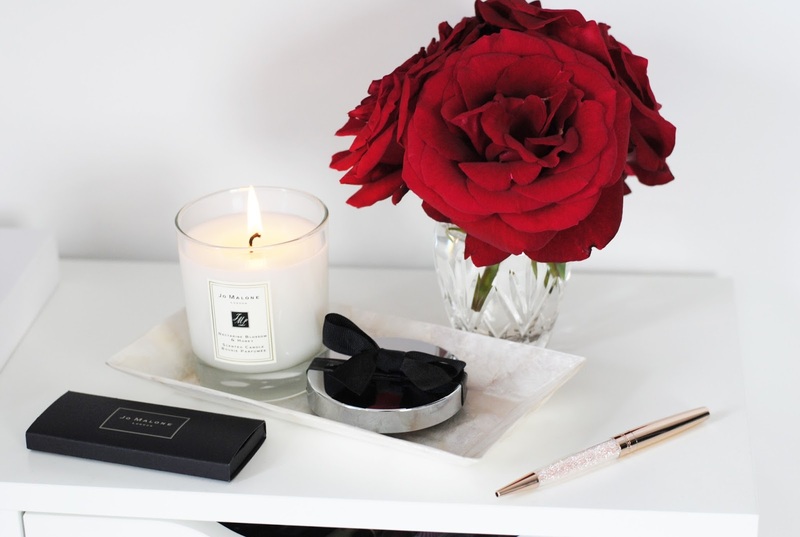 There are a few liquid lipsticks and some products like lip balm and the W7 Lip Legend (to make any lipstick matte). 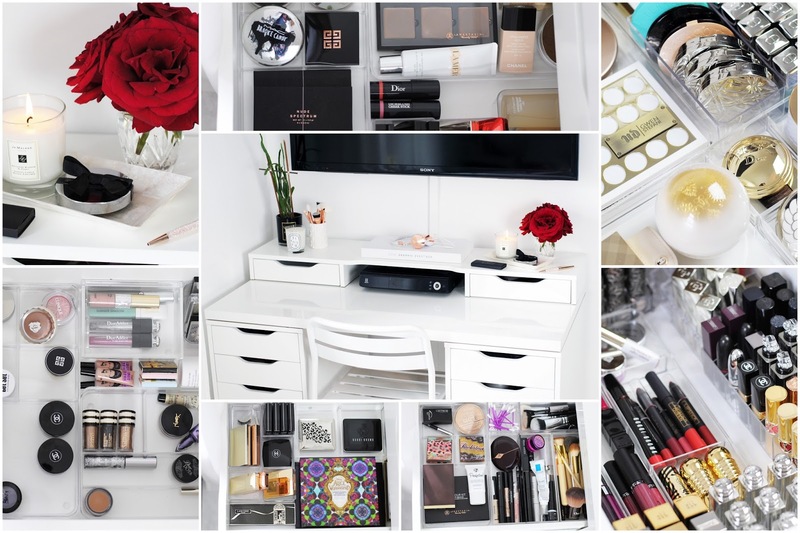 Storage: Ikea (Godmorgon), AliExpress, Big Bazar and Hema. 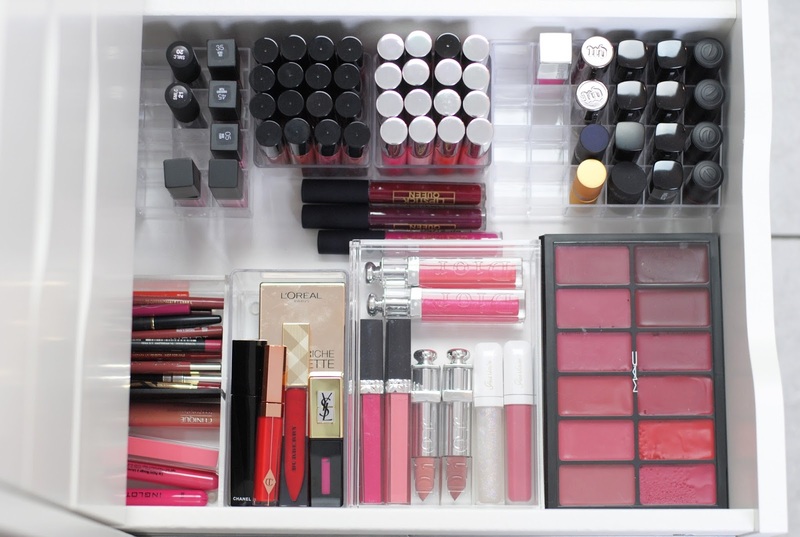 The new lipgloss/liquid lipstick drawer! Storage: Flying Tiger, Nomess Copenhagen, AliExpress and Hema. 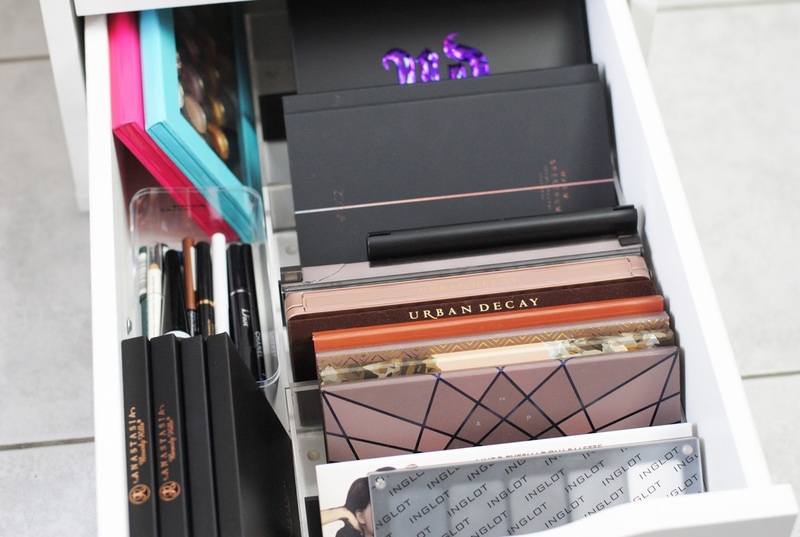 And this is the last one, the one where I store all my bigger palettes. 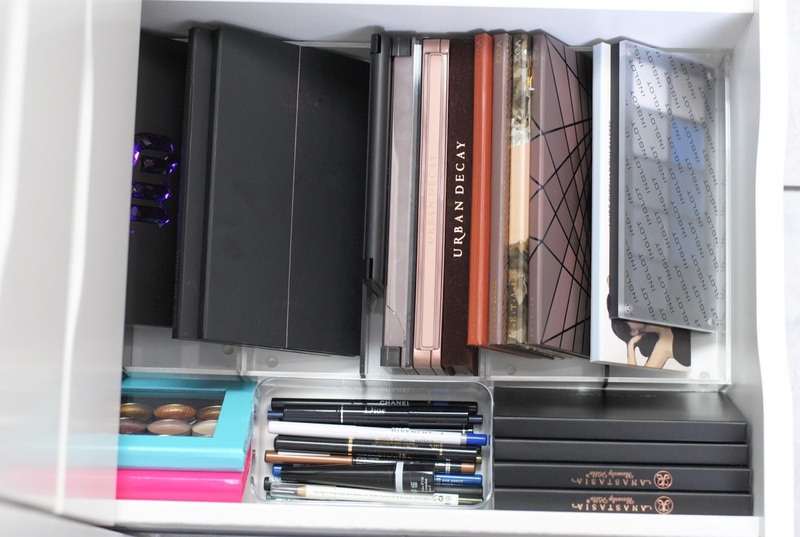 Urban Decay, a lot of Zoeva, Inglot, The Balm, Anastasia Beverly Hills and of course my Z-palettes! Storage: Flying Tiger and Ferrero Rocher. 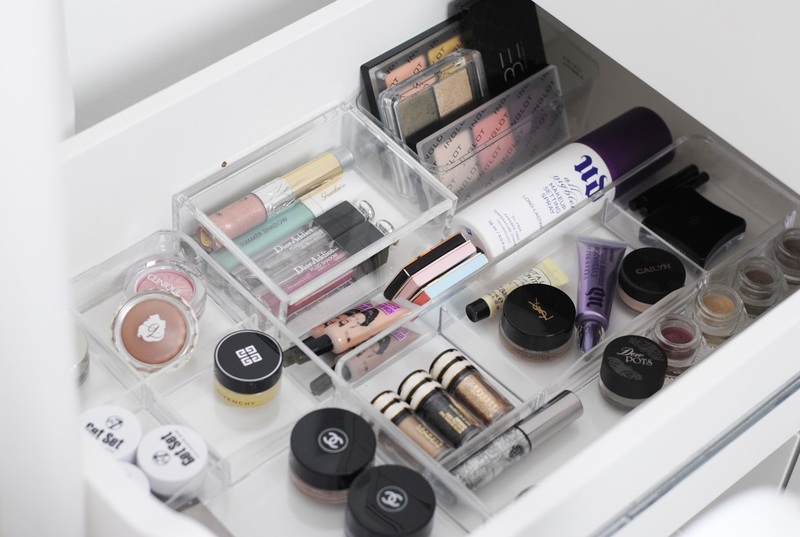 I hope this post give you some new inspiration on how to organize your make-up! Almost all of my budget and mid-end products come from my own shop, Beauty & Bobs. Very (very!) soon we'll launch an English version! 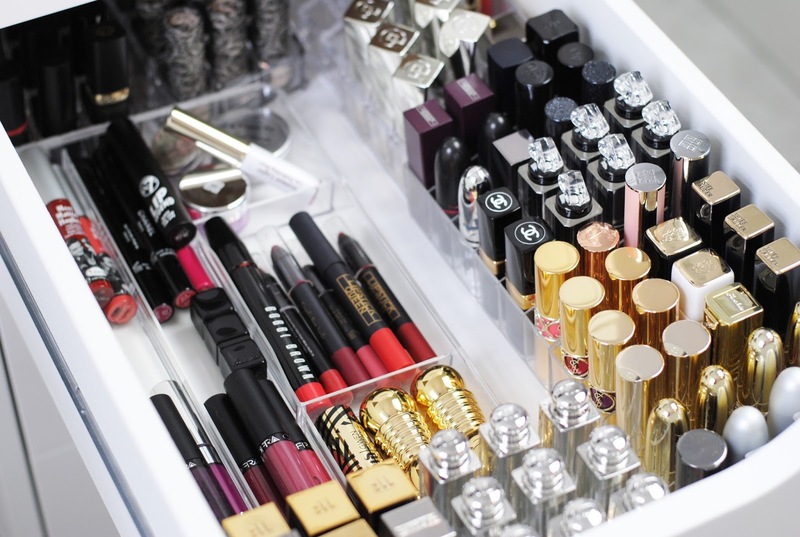 Omg, this is really like heaven to me! 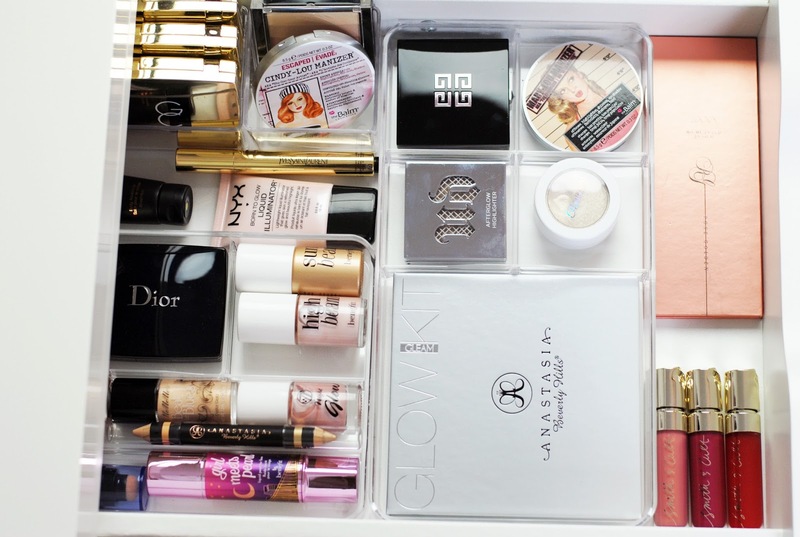 Total makeup envy! 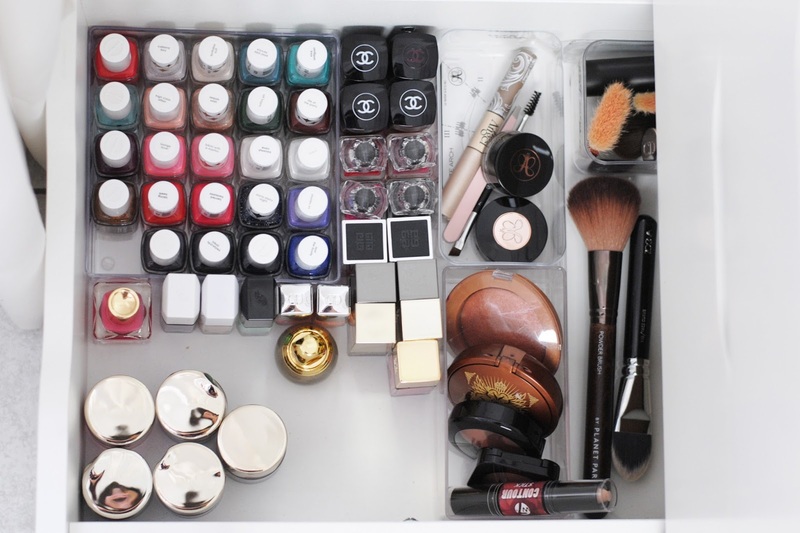 So organized!! Beautiful! I loved reading this post! Drawer 7 is my favorite with those pretty Météorites! 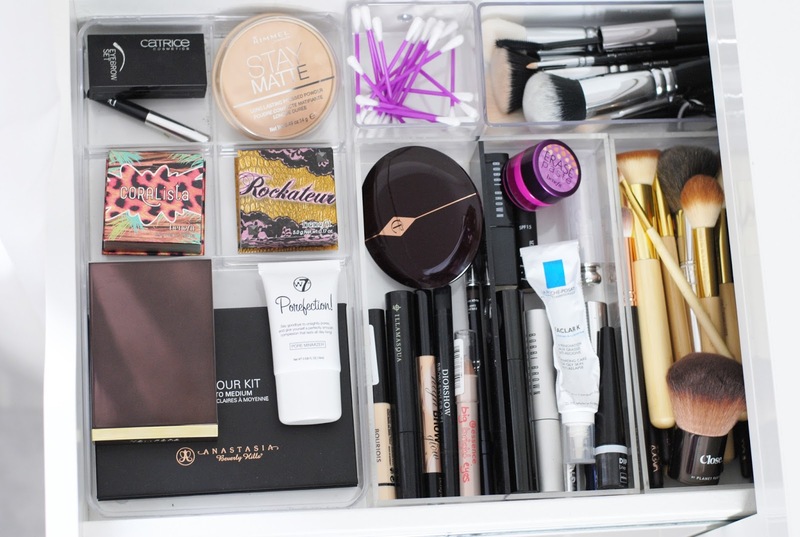 You have a TON of stuff but it really looks organized and neat, awesome. Fijn om een kijkje te krijgen in je collectie en hoe je alles organiseert. Ik houd ervan hoe netjes het is! Uw stash is abnormaal huge. I LOOOVEEEEE ur pictures though !! !